Share this with a friend so they feel FABulous too! Starting on 27th Dec for every class you attend until the 11th Jan 2013 your name will be entered into a daily draw with lots of juicy giveaways to celebrate me qualifying as the East Midlands 1st Natural Juice Therapist. 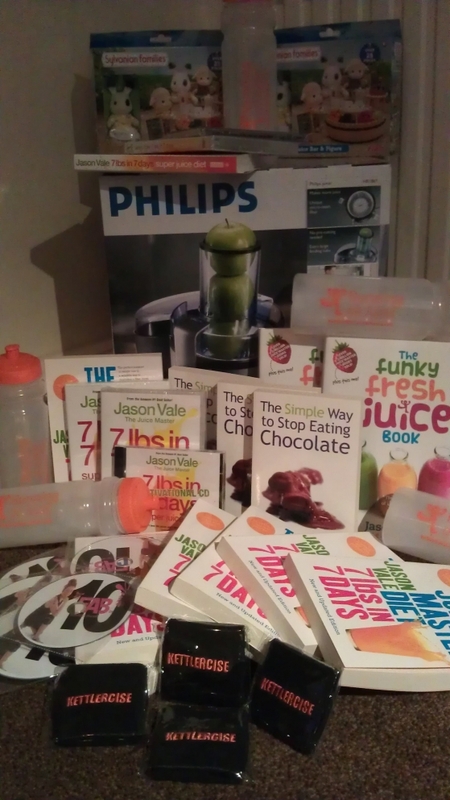 On the 11th January I will put all the names in a hat and one lucky person will win the Phillips Juicer and starter pack to get their 2013 off to a Juicilious start. Remember the more classes you attend the more chances you have to win some FABjuicy prizes! This offer is not valid for free classes. Interested to know more about Juicing then our next Juicy talk is Saturday the 9th February 10-12:15pm. £20:00 a ticket plus £5:00 for raffle ticket to win a super duper Juicing starter pack!